The first solar eclipse in four years will be staged in the morning on 9 March 2016. You can watch the whole process of this partial eclipse facing east-southeast at places without obstacles. The partial solar eclipse will start at 8:05am and last approximately 120 minutes. The maximum eclipse will occur at about 8:58 am. Although Hong Kong next visible solar eclipse will appear again in a few years on 26 December 2019, it is still a rare opportunity to view the partial solar eclipse in Hong Kong next week. There are partial solar eclipse observation activities organized by Hong Kong Space Museum. For details, check here. Tips: remember not to look directly at the sun with the naked eye or through a telescope. Instead, project the sun’s image onto a piece of white paper using a pinhole or a telescope. Many people watch weather report and check weather forecast daily. What is happening in the sky affects our daily life. Even if you don’t need to go outside and stay at home, you have to wear appropriate outfits. It is so important that we have to keep an eye on it closely. But have you ever thought of visiting the Hong Kong Observatory and discover the secret of weather forecast and Measurements? Here comes the opportunity. Hong Kong Observatory Headquarters is a listed monument in Hong Kong. 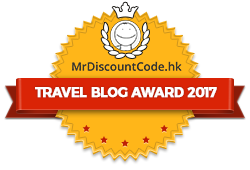 It is located on the Observatory hill, a hidden place in Tsim Sha Tsui. Built in 1883, the main building is two-storey rectangular brick building in British architectural styles. There you can find the Director office, thermometer shed, stargazing instruments, different kinds of indoor and outdoor equipments and exhibitions. Other attractions on the open day include becoming a live weather report presenter, “selfie” with Director and game booths. 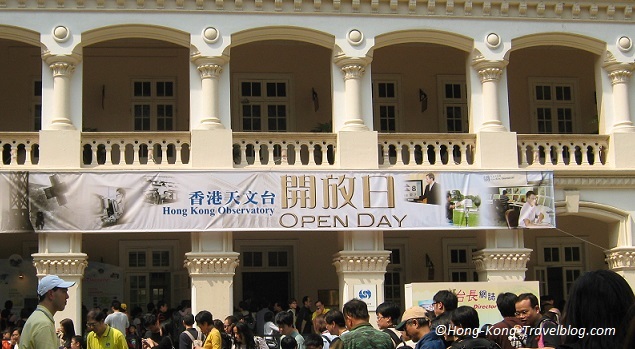 Hong Kong Observatory Open Day is held every year in March so as to celebrate the World Meteorological Day on 23 March. If you are around in March, come and discover the science and technology behind the weather forecast. By the way, the Observatory predicts that the temperature in Hong Kong will be dropped from 20°C to 10°C, which is very rare in March. Stay warm and take care! I’ve been looking using the net more than two hours nowadays, but do not ever encountered some attention-grabbing blog post like your own. It is always delightful worth ample in my view. In my opinion, if pretty much all website owners and bloggers constructed very good articles resources you probably did, cyberspace will likely be way more helpful than everbefore.I will book mark these pages !! Will obviously browse once again !! Thanks for your useful ideas. Thanks for your kind words. Glad that you’ve found my blog posts useful.